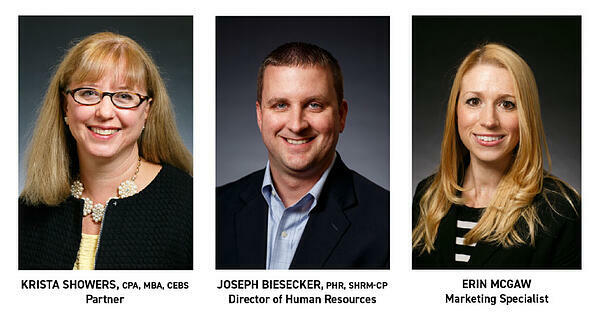 Trout, Ebersole & Groff, LLP professionals, Krista Showers, CPA, MBA, CEBS, Partner, Joseph Biesecker, PHR, SHRM-CP, Director of Human Resources, and Erin McGaw, Marketing Specialist, served as judges at the Pennsylvania Future Business Leaders of America (PA FBLA) event on Monday, April 8, 2019 and Tuesday, April 9, 2019. This year was PA FBLA's largest to-date, with over 5,000 student participants from across Pennsylvania. Krista Showers and Erin McGaw served as judges for the Client Service event. During this competition, participants used their verbal communication skills to interact with prospects and clients and provide an outstanding client service experience. Erin was also a judge for the Social Media Campaign event. These participants presented their social media campaign on creating buzz for and knowledge of FBLA’s participation in Giving Tuesday. Their campaign was also to encourage individuals to make online donations to FBLA through the recognized Giving Tuesday. Joe served as a judge for the Electronic Career Portfolio event. Participants, in this competition, presented their collection of work, which included their achievements, growth, vision, reflection, skills, experience, education, training, and career goals, in an electronic format. "It is impressive to see 5,000 plus teenagers who are working hard to improve themselves personally and professionally. Kudos, to all the participants!" said Erin. FBLA helps students develop leadership abilities, and prepare for entry into, and advancement within, a business or business-related occupation. Members learn how to engage in business enterprise, how to direct the affairs of a group, and how to compete honorably in competitive events. These activities help prepare students to be better employees and better citizens.